HOW CAN I GET STARTED TRADING STOCKS? I have no financial background does this matter? Which trading strategy should I use? So let us take each question one at a time. Do not let this question stop you from pursuing something you are interested in. You do not need any previous financial experience, background or education but it may take a little more time for you to understand the concepts. As with anything else you learn that is new you must be patient, familiarise yourself with the subject and then you will feel more comfortable with it. I myself do not have a financial degree from university but I am self-taught and took many exams to become a stock broker, if I can do it anyone can! This is a big question and many people do not start investing or trading because they are afraid it requires lots of money and they do not have enough to get started. This is one of the biggest misconceptions people have. When you look at Warren Buffet, one of the richest men in the world, who made his money in the stock market, he too had to start somewhere. The point is you have to start, you must begin. Begin slowly with small amounts and learn while you build wealth for the future. Albert Einstein said one of the most powerful forces known to man is the power of compound interest. Did you know if you invest $1,000 and made a return of 2% per month that in 20 years you would have over $115,000? If you made 3% per month, this one time investment of $1,000 would be over $1.2 million! This is how to build your wealth, invest and make money on your investment but also make money on your profits. Making money work for you rather than you work for it will change your life. All you have to do is to begin! There are so many trading strategies e.g. example stock trading, commodity trading, day trading, option trading, swing trading and Forex trading to name but a few. You can make money in any of these disciplines. What you must consider is the time you have to spend and your risk tolerance. Find a strategy, study it, practise it and make money with it, focus and be disciplined. We at Trillium concentrate on several strategies, we want strategies that are safe and provide consistent profitable returns. There is no point in learning high risk strategies where you can make big profits in the short term only to lose them in the long term. You have to learn to manage your risks. There is no right or wrong strategy, we focus on trading stocks (swing trading) and options in the US markets. Why confine ourselves to the US? Because it is a global market and many of the world’s largest companies are traded there. The New York Stock Exchange trades over $44 Trillion daily. What does this mean to you – It means the market is huge, it is highly liquid, there are plenty of buyers and sellers from whom we can profit. There are two sides to this question, it will take time for you to learn and everyone differs in the amount of time it takes to learn to trade the stock market. Do not compare yourselves to others as there is no basis for comparison. As with any new subject you learn initially it will take time but it will become easier with less time needed to get to grips with the subject. The second part of the question is how much time will trading take? That is like asking how long is a piece of string? It will take as much time as you want to give it, what strategy you choose and the number of open positions you have. Obviously you should start with an easy strategy and be consistently profitable before you move on to more advanced strategies. Maybe you will be content to stay at this level or you might decide you wish to get further education and progress on to more advanced strategies. Usually new traders start with only one position and add more positions as their knowledge and confidence increases, remembering to diversify in different sectors as well as companies. A good rule of thumb for research is one hour per week per position and another hour for trading. Education! 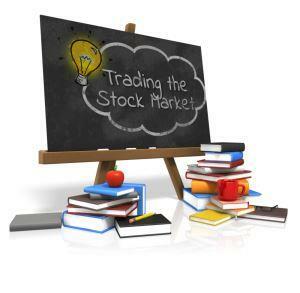 Education is key and we at Trillium Trading Academy offer online and face to face stock market trading courses. Our courses will take you from a novice or beginner level to the skill level of an advanced trader. We provide the education and trading support via our trading tools. We have a community of traders to ask questions of and interact with. We have weekly webinars that cover the markets and a watch list of stocks we review looking for potential trades. It can be daunting to begin with. We have been in your shoes, we want to help you take the first step and to hold your hand along the way. The questions above are some of the most common questions. Consider them carefully be aware that every situation is different, every student is different and every trader is different, so there is no one size fits all solution. The most important thing you should take from this is that you have to start to build a foundation with which you can successfully trade the stock market. 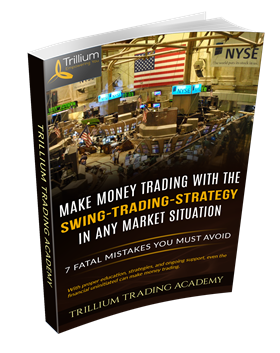 If you wish more insight into stock trading you are invited to download our free e-book on the swing trading strategy.